LIST PRICE: $3.99 both titles! 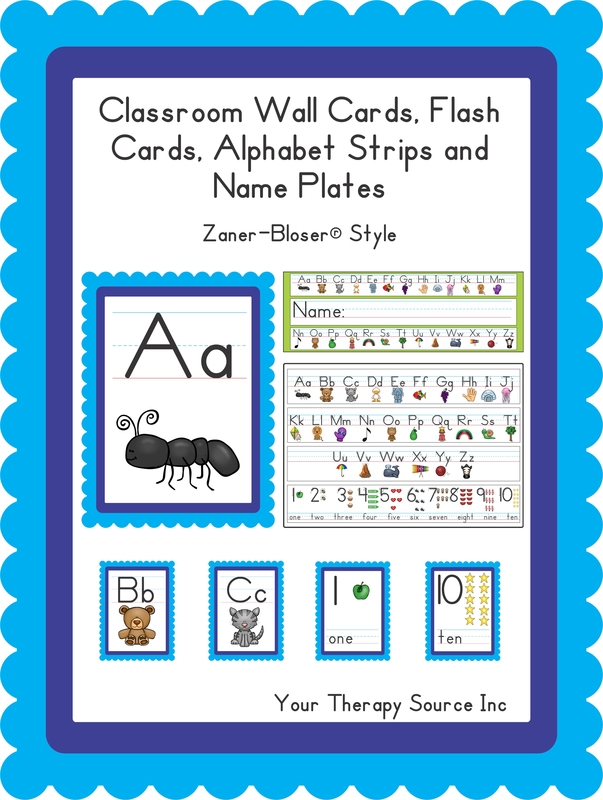 Summary: These cards, strips and charts are perfect to hang up in the therapy room or classroom for visual reminders. 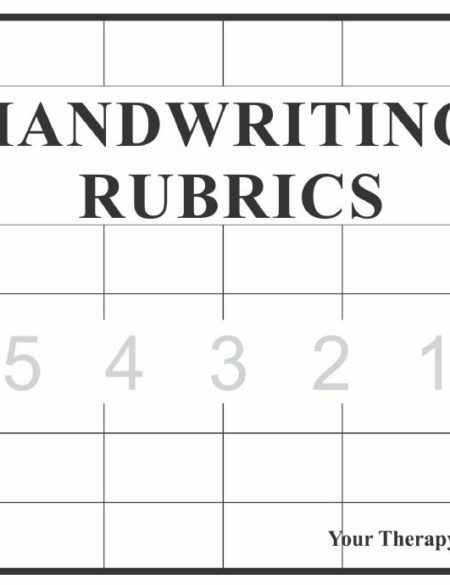 For each font, there is one letter per page, numbers 1-10, name plates (one with directional arrows), alphabet strips (one with directional arrows) and the alphabet/number chart (one with arrows). 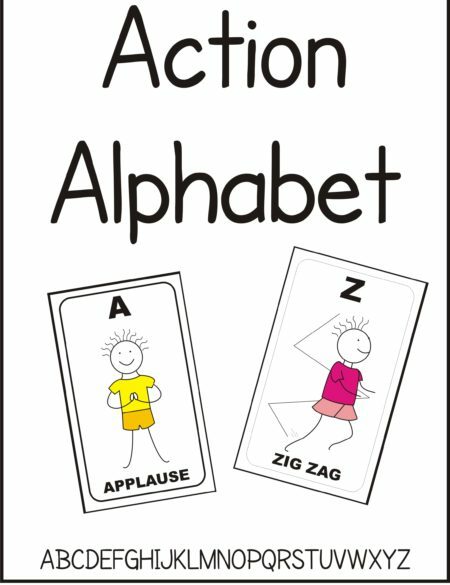 For the flash cards, the pages are laid out four to a page to cut out and use. The alphabet strips and name plates are provided with a green background and a white background.These packets make a great addition to your OT toolkit or to share with teachers and parents. 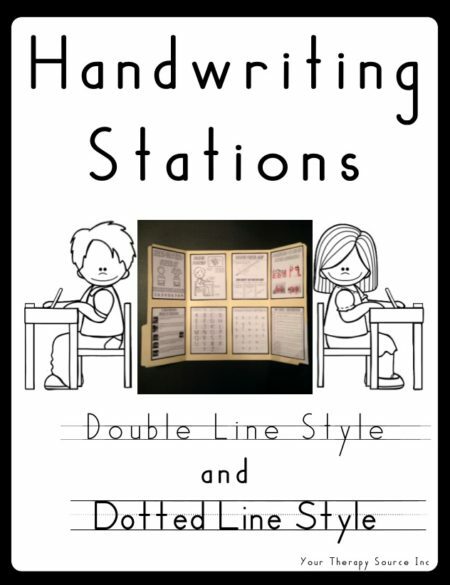 Download some sample pages from the Handwriting without Tears® and Zaner-Bloser® Style. Remember these are electronic documents. Following payment you will receive a link to download the book. 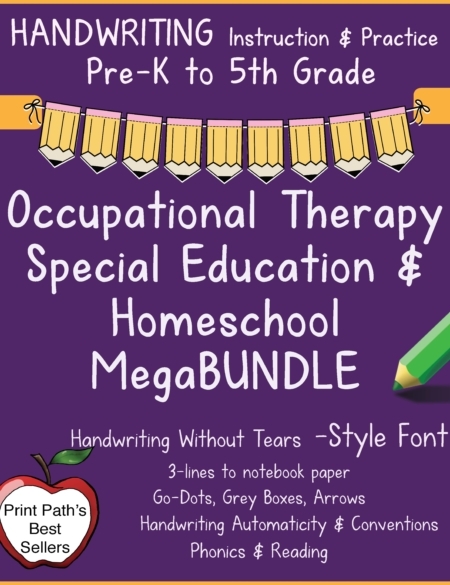 As with all of the Your Therapy Source books, you may reproduce the pages for the children that you work with.